On Tuesday, more than 900 Google workers signed a letter urging the company to respect its contracted labor. 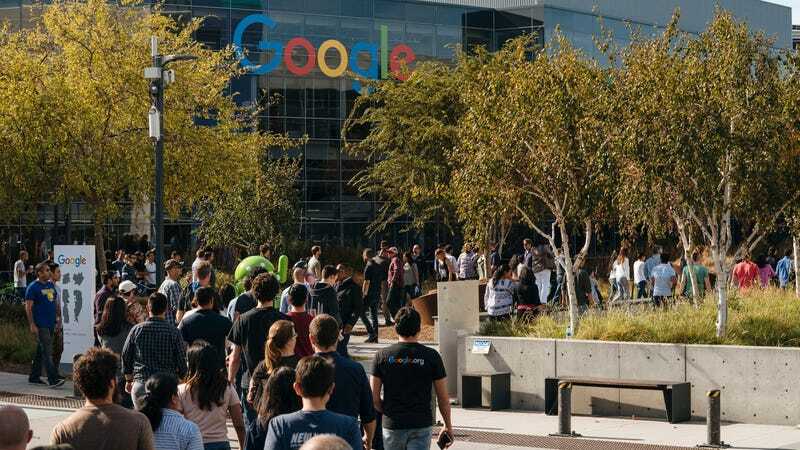 As tech workers continue to call out unfair labor practices in the industry, they’re forming a coalition with contractors to acknowledge the rights of about half of Google’s workforce. The letter comes at a time when contractors are being laid off and treated as virtually non-existent. On March 8, about 80 percent of the 43-person Personality Team were informed that their contracts would expire within the next month, and by July for some, according to the letter. This team was made up of temporary, vendor or contract employees (known as TVCs). They wrote in the letter that contradictory to their senior manager’s assurance that they don’t need to worry about their contracts, layoffs started happening at Google offices around the world. Given previous reports on how Google treats its contracted workforce, this is hardly surprising. Internal Google training documents obtained by the Guardian last year, titled “The ABCs of TVCs,” served as a guide for how full-time employees should separate themselves from the temporary workforce. “Working with TVCs and Googlers is different,” the documents reportedly stated. “Our policies exist because TVC working arrangements can carry significant risks.” The training document then advises Google employees to leave TVCs out of certain team meetings and to avoid giving them gifts like a Google shirt. And after the massive Google walkout last year, in which workers demanded an improved process for reporting harassment and discrimination, contract workers still described a process that, for them specifically, was still confusing. CEO Sundar Pichai sent an email to Google employees following the walkout to inform them of the demands the company would meet, but a contractor told Gizmodo at that time that TVCs were excluded from that communication and weren’t allowed to be in the room during the all-hands meeting. “I had to read it in the press rather than directly from the CEO whose company I have worked for this past year,” a contractor told Gizmodo. Given this second-class treatment, the demands outlined in the letter on Tuesday can best be boiled down to improvements around human decency. The TVCs ask that Google “Respect our contracts” by paying for the remaining length of the shortened contracts, “Respect our humanity” by permitting full-time employees to empathize with and express gratitude to them, and “Respect our work” by converting them to full-time employees.